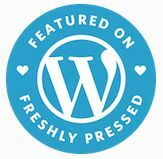 fantasy | "Granny Beads and Grocery Store Feet"
"Copy one source and it's plagiarism; copy a bunch of sources and it's research . . . or The Inheritance Cycle. One of my beloved Budge’s greatest strengths to me as a wife is her ability to hold up her end of the conversation in most of our realms of discussion. She’s as smart as she is pretty, which means she has quite the formidable intellect. It’s also safe to say we agree on many more things than we disagree on. One thing we don’t see the same way — AT ALL — is Christopher Paolini’s “Inheritance” Trilogy +1. Budge just finished the fourth book of the series and pronounced it quite a good read. 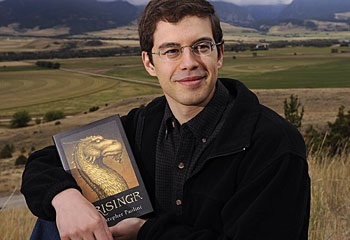 I read Eragon and Eldest and stopped because, not to put to fine a point on it, I’ve come to realize Christopher Paolini is a no-talent hack at best and an unrepentant plagiarist at worst. His talentlessness exceeds even Stephanie Meyer, which is something I never thought I’d say. At least Ms. Meyer was “original” (read: moronic) enough to take on vampires in a new and idiotic way because . . . wait for it . . . VAMPIRES DON’T FREAKING SPARKLE! Paolini, however, is as unoriginal as a peanut butter and jelly sandwich . . . and has about as much taste. Now here’s the thing — I’m not the only one who recognizes what a horrible writer / copyist he is. In fact, ever since the publication of Eragon by Knopf back in ’06-ish, scores of scathing blog entries have eviscerated his childishly vapid and overwrought prose as well as his shameless appropriation of at least one major trait of every decent fantasy series since Tolkien. Want ten reasons why Paolini is overrated? Check out Blair Mathis’ list. Doubt the plagiarism? Read this Amazon.com review and see how, point for point, Eragon is Luke Skywalker with a dragon instead of an X-Wing and a sword instead of a light saber. Finally, you can go to the Anti-Inheritance Wiki and see VOLUMES complete with page numbers, etc. showing just how horribly written and fraught with errors this drivel is. No, Paolini is not exceptional. Exceptional is S.E. Hinton writing The Outsiders while still in public high school. If Eragon is still selling 500,000 copies a year in 2056, maybe I’ll reconsider my opinion. Personally, I doubt it will still be in print (physically or electronically) in 20 years, let alone 45. Speaking of Hinton and public high school brings to mind another problem I have with Paolini — he was homeschooled. Now don’t get me wrong; I’ve got nothing against homeschooling per se. I don’t believe all the hype that would make every homeschooler out to be a genius, but that’s another post for another time. What I’m saying is how many novels could one of my emogoths have churned out if he or she’d had all day to work on such a passion at leisure? "Why YES, yes I am quite the smug little prat! Thank you for noticing!" 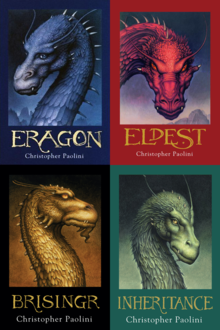 My bottom line where Christopher Paolini and his lack of talent is concerned is simple — Eragon would NEVER HAVE SEEN THE LIGHT OF DAY if Paolini’s parents were not somewhat wealthy. They had enough money to get his pet novel published by a vanity press and last time I checked, that ain’t cheap. They had enough money to send him on “book tours” to libraries and schools to do “readings” of his “work” to captive audiences and Carl Hiaason’s kid happened to be in one of those audiences and the rest is history . . . and hype, good lord, don’t forget HYPE. After all, if you don’t have talent, you’d better have marketing! How many teens have the beginnings of a much better novel than Eragon sitting in a composition book or on a computer hard drive? We’ll never know most of them because those teens have to go to school and a great many of them have to work and not rely on Mommy and Daddy to fly them to the next “reading event.” If Mama had been rich enough to vanity press some of my work, I’d have had a few books out before college, too. As it is, Mama kept a roof over my head and food in my fat belly and I’ve got a box of rejection slips instead of bank notes. If it seems like I’m being harsh . . . well, I am. Paolini represents a lot of the things I despise in the world. To me, he’s an arrogant “HAVE” thumbing his nose, very undeservedly, at all the “HAVE-NOTS.” He’s proof — like Paris Hilton and the Kardashian clan — that money can buy fame, but it can’t buy talent. Love y’all, keep those feet clean, and remember — Friends don’t let Friends read crappy fantasy books!